Hey, guess what? It’s October 21, 2015. Aka Back To The Future Day, the exact date Marty McFly and Doc Brown travelled through time to in Back to the Future 2. 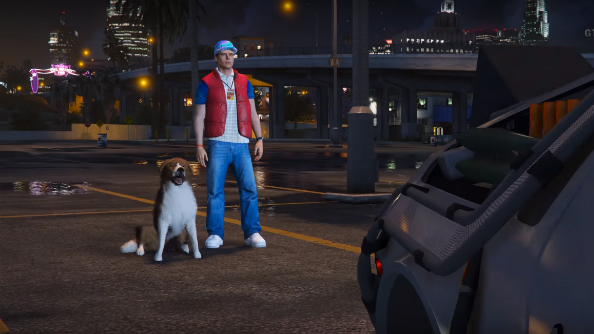 To mark this momentous occasion – and perhaps dull the disappointment that hoverboards and self-lacing sneakers still aren’t a thing – a YouTuber has created a pretty incredible recreation of an iconic scene from the first movie in GTA 5. It’s nuts. Do you like tinkering with vanilla Blaine County? Check out our best GTA 5 mods. I’ll admit I haven’t seen the movie in a while, but to me that looks like a pretty much shot-for-shot remake of the now iconic parking lot scene in which Doc Brown first reveals his time travel device to Marty, before chucking his dog in the car and sending it barrelling into the pair of them for reasons best known to Doc Brown. The personalised number plate on the DeLorean is present and correct, as is the exact speed readout on the remote control. Admittedly Trevor Phillips makes for a notably more malevolent Doc Brown than lovely Christopher Lloyd, but… that gillet. That baseball cap. YouTube channel GTA Series Videos uses dialogue and original score over game footage captured with the Rockstar Editor. A handful of mods were implemented, including this mighty impressive DeLorean car pack. Elsewhere on the channel is a pretty authentic Red Dead Redemption homage. Well, if Micheal Mann had made Red Dead Redemption and set it in present day California.